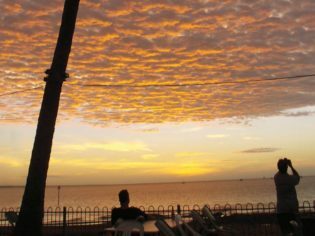 A view to dine for: Darwin Ski Club sunset. While at first the name might throw you – snow skiing? In tropical Darwin? – it’s actually water-skiing that gives this local institution its name. Perched in prime position on the still, wide waters of Fannie Bay, the Darwin Ski Club is fantastic for family meals, with a huge grassy expanse for children to run around on while parents catch up over a XXXX beer or two. The simple, merry scene is framed by palm trees strung with colourful light bulbs, which start to glow softly as the sun sinks into the sea, casting a coral coloured light over the onlookers. It’s all so supremely laidback you could fall asleep, were it not for the bewitchingly beautiful scene being played out by mother nature in front of you. There are ‘small person meals’ on offer and a selection of simple bistro meals with a local flavour, plus live music on Fridays and Saturdays. But there’s no question that the real star here is the sunset (photography buffs, don’t forget your camera). It’s a lovely way to end a languid Darwin day. 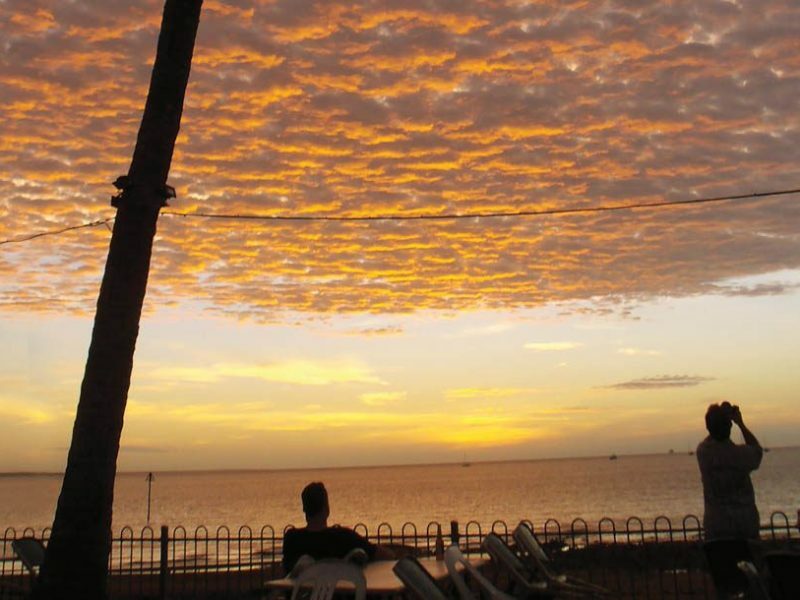 Darwin Ski Club, 20 Conacher Street, Conacher St, Fannie Bay, NT. 08 8981 6630.